.. some might say that traditional public schools have a monopoly on K-12 education. Monopolies tend to stifle competition. Without competition, existing K-12 schools and infrastructure might tend to lag, and offer declining or poor quality educational opportunities. Traditional K-12 schools infrastructure might be inhibited due to the impact of unions and perhaps less than optimal HR operations. It might be argued that such situations more typically exist in areas with lower economic prosperity. Can charter schools improve the competitive framework among K-12 schools? Can charter school also improve on the quality of educational opportunities served? Charter schools are schools that provide free elementary and/or secondary education to eligible students under a specific charter granted by the state legislature or other authority. 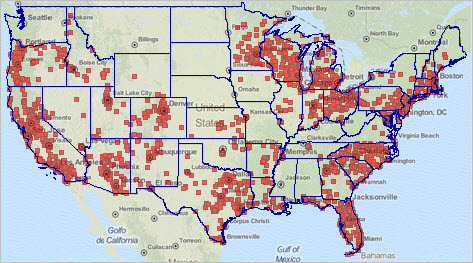 This section provides information on the approximate 6,400 charter schools identified by the U.S. Department of Education for the 2013-14 school year. See the more detailed related Web section. Using GIS tools, it is easy to see the geographic distribution of charter schools and how some counties/sub-state regions have concentrations. 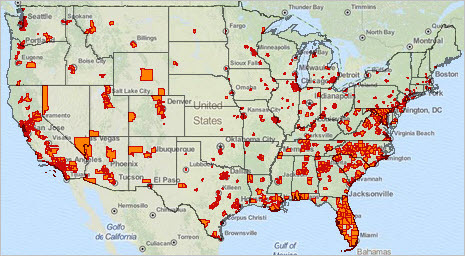 America’s 6,934 charter schools (red markers) as of the 2013-14 school year. — view developed using CV XE GIS; click graphic for larger view showing more detail. Can charter school improve on the quality of educational opportunities served? Data and tools reviewed here can help answer that and related questions. Contact me about using these resources. There is no broad, blanket conclusion. It is somewhat a case-by-case, district-by-district, situation that needs to be examined. Weak and under-staffed/under-funded charter schools cannot alone lead to improvement. .. examine demographic-economic characteristics for each/all of America’s largest school districts (population 65,000 or more). Use the interactive table in this related Web section to query, rank compare the approximate 800 districts. Examine district relationships within peer groups using tools below table. Click a link in the table to view detailed characteristics of any district. Data are based on the annually updated American Community Survey (ACS 2013) estimates. Use the interactive table to query, rank compare district characteristics. The following graphic illustrates selecting districts having population 180,000 to 190,000. Select any population range. The 11 districts meeting the criteria are shown in the table. It is easy to see which districts are changing population and by how much. In the actual interactive table, click on a column header to sort on that item. In the interactive table, click the link in the school district row to view an extended demographic-economic profile for the district. The extended demographic-economic profile shows characteristics of the district based on Census 2010, ACS 2012 1-year estimates and ACS 2013 1-year estimates. Similarly structured profiles are available for sub-district geography and county, city and higher level geography. See about these profiles for other types of geographic areas. The following graphic shows a partial view of the demographic-economic profile available for any district. Use the interactive table to access profiles for districts of interest. Search for the district partial spelling of name using the Find in Name button below the table; or sort by name and scroll to that district. This section updates in the fall 2015 with ACS 2014 demographic-economic data. .. visual analysis of geographic-demographic-economic patterns is an important part of the data analytics process. The ability to easily combine and flexibly explore relationships among geographies is equally important. Use GIS tools to perform these tasks and benefit from collaborative planning and analysis results. This “application” has been developed to examine characteristics in the vicinity of the red marker (1 Infinite Loop, Cupertino, CA). This location and vicinity are used for illustration. It is easy to see what block group and census tract contain the location of interest. Other locations could be added. — view developed using CV XE GIS software. The methods described here can be applied to any location in the U.S. While these steps illustrate use of small area geography, the resources and methods apply to geography and shapefiles on a global level. They include geography ranging from all U.S. counties to the world by country. A first step to view a map of small area geography is to acquire and assemble layers/shapefiles into a GIS project. Visually compare the geographic relationship between block groups or census tracts by using the CV XE GIS GeoGateway feature. The GeoGateway feature can be thought of as a “mapcompiler” — selectively add shapefiles as layers to a GIS project. These operations are summarized here and presented step-by-step in this related Web section. The GeoGateway feature is available in all versions of the CV XE GIS software. The graphic below shows the start-up view of the GIS project used in this application. The red marker shows the location of 1 Infinite Circle, Cupertino, CA. 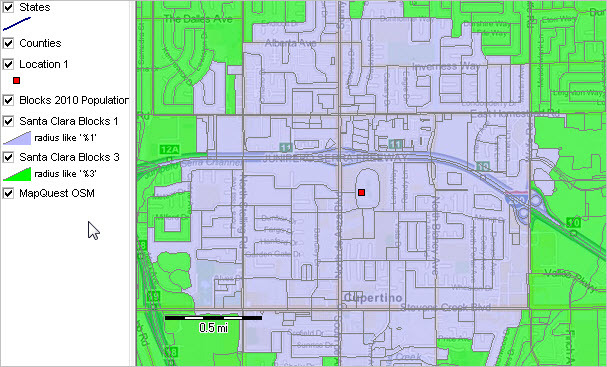 Census blocks with blue fill pattern are within 1-mile distance from the address/location. 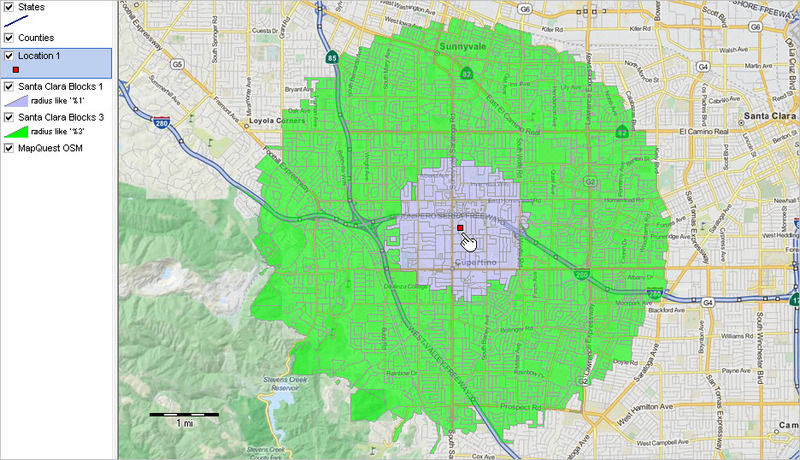 Census blocks with green fill pattern are within 3-mile distance from the address/location. Block groups, census tracts and roads will be added to this GIS project through steps described in this section. The resulting views are shown here. Use these resources and procedures to develop similarly constructed maps for anywhere in the U.S. 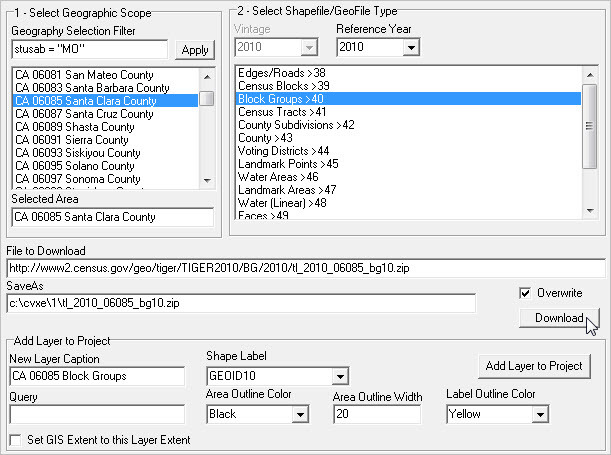 While the applications shown here illustrate use of map compiler, or GIS project development tool, for block groups and census tracts, the CV XE GeoGateway can be used to select and combine any of the TIGER/Line shapefiles. • Install the CV XE GIS software (level 1 or higher) if not already installed. • Unzip the CAPS1 GIS project fileset to the folder c:\cv_caps (new folder). • Start CV XE GIS; use File>Dialog>Open to open the GIS project c:\cv_caps\caps_06085_zoom1.gis. .. the view will be similar to the view shown above. 1. Start File>GeoGateway; a new form appears. 2. Add the Santa Clara CA census tracts shapefile/layer. 3. 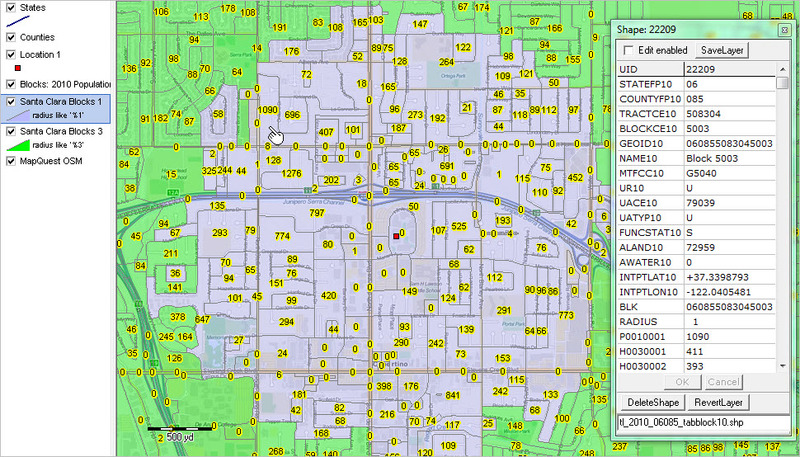 Add the Santa Clara CA block groups shapefile/layer. 4. Add the Santa Clara CA edges/roads shapefile/layer. 5. Close GeoGateway form; perform mapping and analytical operations. This graphic shows the GeoGateway form being used to integrate the Santa Clara County block groups layer into the GIS project. See the detailed step-by-step operations. 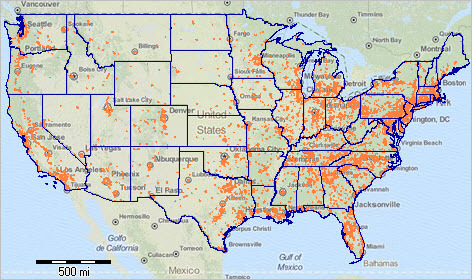 Use the GeoGateway feature to develop national scope map views and GIS projects like the one shown below — all urban areas (orange fill pattern). This view can be assembled in a few minutes, starting with the same GIS project used above. .. have you wondered how Web sites determine the demographic-economic attributes for a location/address? Are those data for the corresponding block group, census tract, city or something else? Was it the “ZIP code area”? These areas can be 100,000 population or more making them so large that alternative geographies might be preferred. Often those important particulars — which geography and data sourcing — are vague or unknown. 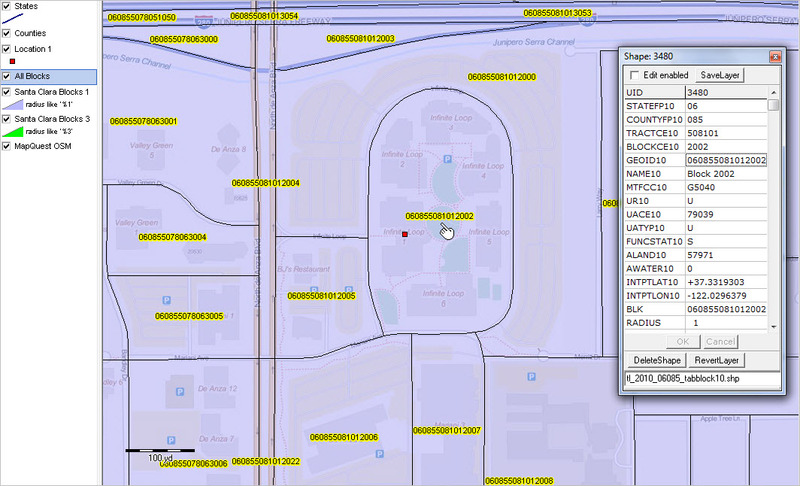 This section reviews use of the interactive Location-Based Demographics Tool to access data for a location based multiple, alternative types of address “container areas”. See more details in this related web section. 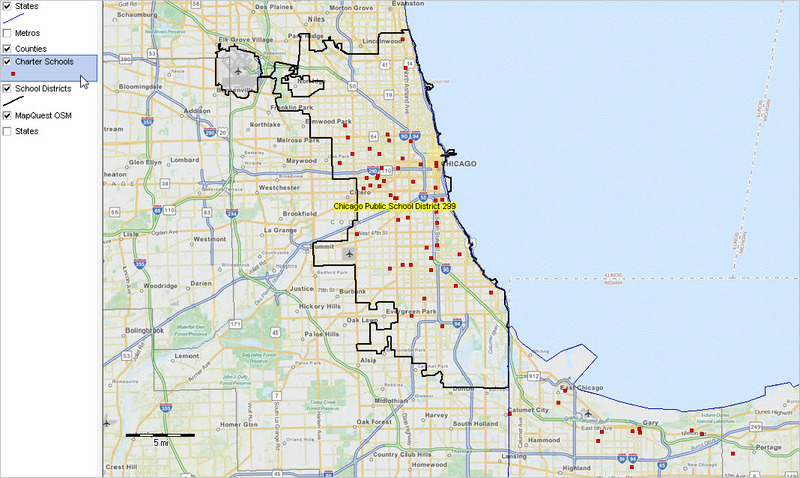 Any given address or location is contained with several types of statistical areas (e.g. census tract or block group) and political areas (e.g. city or county). We may want to know the demographic-economic characteristics of a location for any one or several of these geographies. Use the interactive tool on this page to access those data. 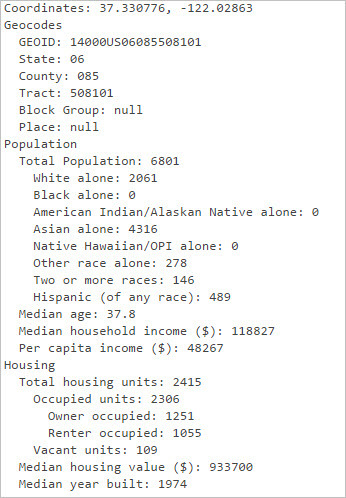 For example, access/view the median household income of the location/address block group or the median household income the location/address city. Key in the address of interest, select the type of geography and click Find — see graphic below. The results are displayed on the same page. 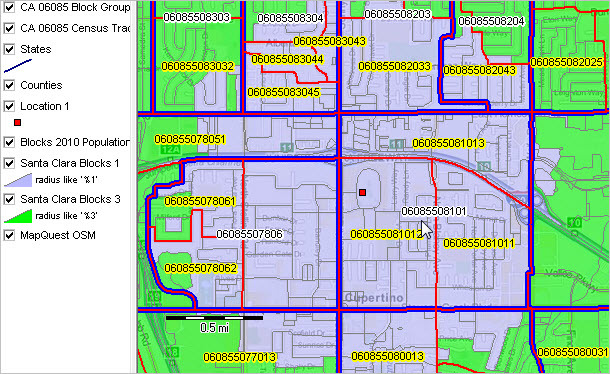 See this related web section about using the MapCompiler to create map views for these block group and census tract areas in the vicinity of the default address used above (1 Infinite Loop, Cupertino, CA). Use the CV XE MapCompiler (GeoGateway feature) to create similar maps for any area of interest. 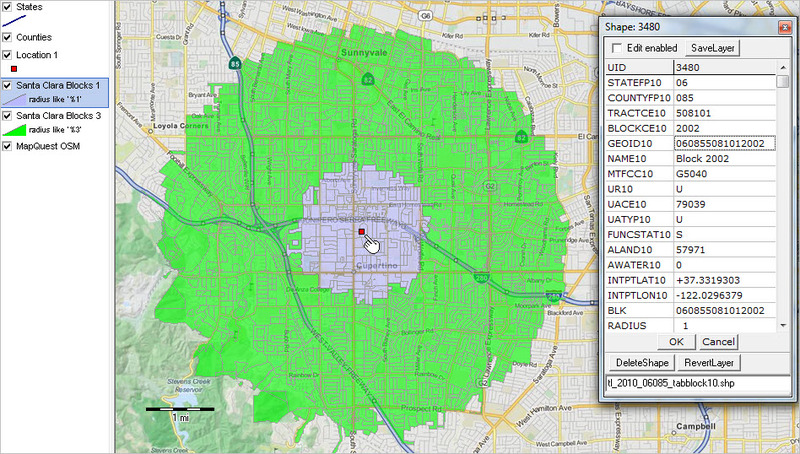 What are the demographic characteristics of a circular area with a 10-mile radius from a given location/address? How do those demographic characteristics compare to those of a 5-mile radius from the same location? Imagine analyzing an almost infinite number of locations with many circular areas, each having a custom defined radius. This section provides an overview of using data and tools to develop and analyze circular area demographic characteristics for anywhere in the U.S. See the related Web section. More technical, step-by-step, operations on developing and using these data with GIS tools are reviewed in a related section. The following view illustrates how characteristics of a 1-mile radius circular area (blue colored census blocks) and a 3-mile radius circular area (green colored census blocks) from designated location (red dot) may be displayed on a map. Use tools described in this section to create such maps for any location in the U.S. for any radius. This application is in the Cupertino/Sunnyvale; Santa Clara County, CA area. — view developed using CV XE GIS software; click graphic for larger view. The application design starts with a location of interest. The latitude-longitude tool can be used to determine the latitude-longitude for an address. This example uses the address “1 Infinite Loop, Cupertino, CA 95014”. Copy and paste this address in the address edit box (no quotes) and press enter. The latitude-longitude values are 37.331711, -122.03018. The objective is to develop a 1-mile and 3-mile circular area profiles and shapefile for this location for use in a GIS project. Using the GIS project, views such as those shown above can be developed. 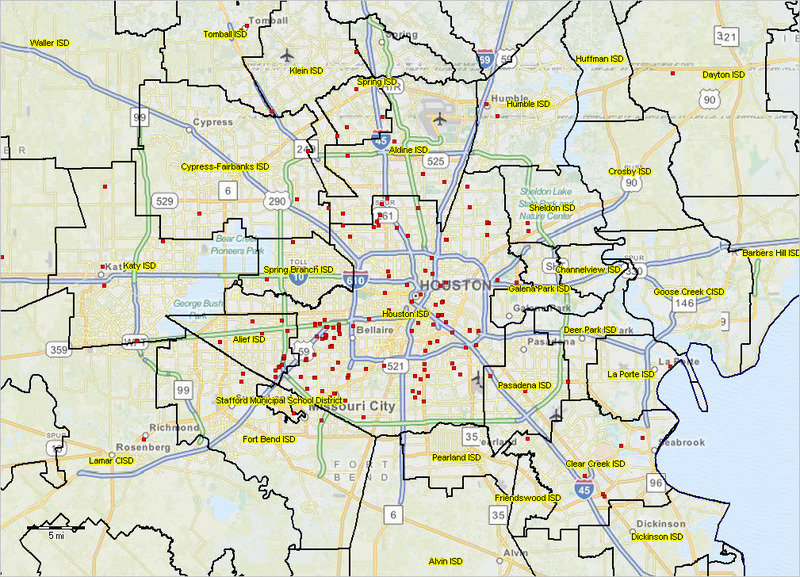 Using geospatial analysis tools, analysts and stakeholders can learn more about the demographic characteristics of a custom defined location vicinity. 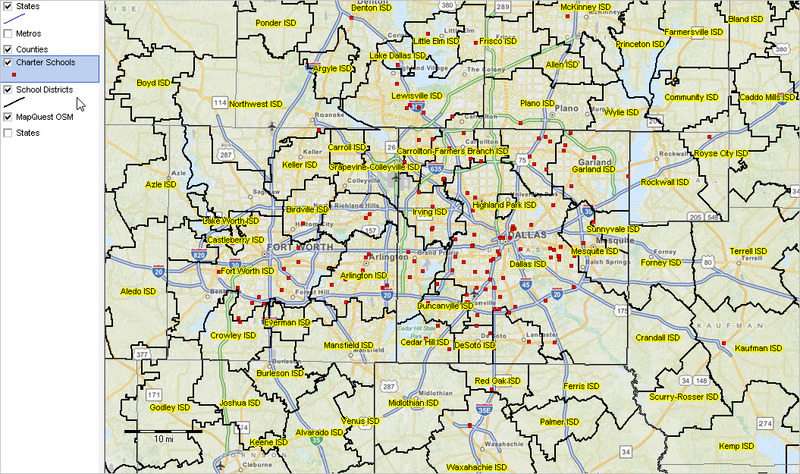 The 1-mile and 3-mile radius areas used here are only for illustration. There could be more circular areas and with any radius value. One location is used here for illustration; there might be many and at locations across the country. The Census block dataset is developed in these steps. • Take all default (or no) values except for items noted here. • Enter the latitude and longitude values 37.331711 and -122.03018, respectively. • Enter the two radii (1 3) in the “Enter up to 5 radius values” text box provided. • Select California in the Select One or More States” dropdown . 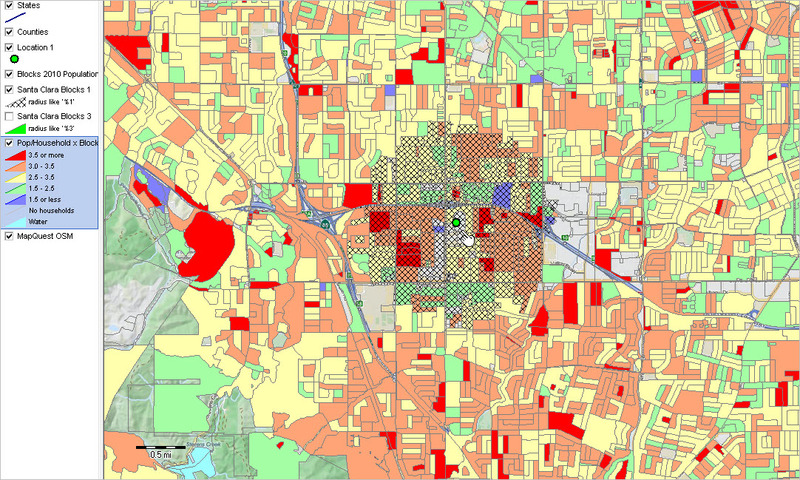 The 1-mile radius report shows characteristics of the circular area with a Census 2010 total population of 29,042; the 3-mile radius report has a Census 2010 total population of 212,315. 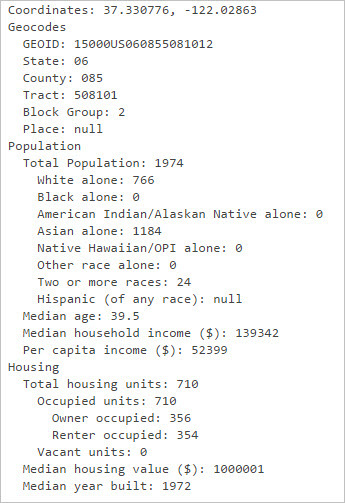 Use the report as generated and optionally download the census block file generated (shown at the bottom of the report page (page generated after clicking “Generate Report” button described above. Click the link shown below to download the required file. Save the downloaded file as c:\cv_caps\caps10c4131.txt. Any drive/folder/name may be used. Using this drive/folder/name makes the file naming consistent with next steps. You will need to create the folder c:\cv_caps. Follow the detailed instructions described in this section to develop the circular area map views. Create your own shapefiles for any location for any size study area. 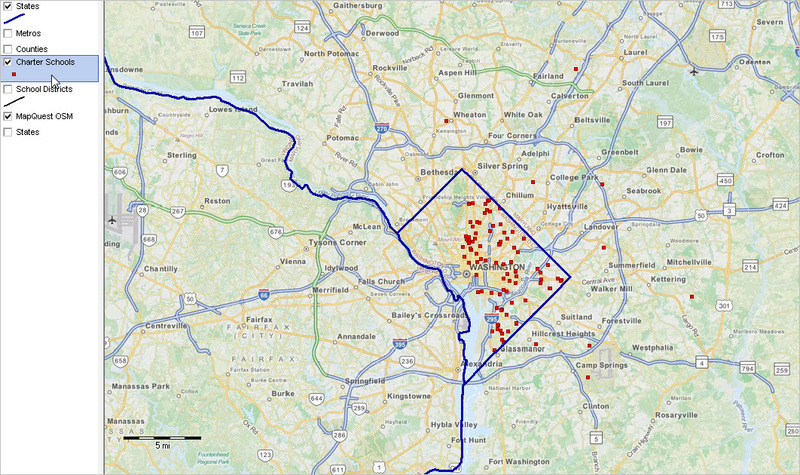 Build a GIS project where you can view/analyze these data in context of other data. .. the 1790 census, and the first enumeration of the U.S. population, was conducted 225 years ago, commencing in August 1790. The total population of the United States in 1790 was 3,929,214 and the entire cost of the first enumeration was $44,377.28. This section summarizes selected features of the 1790 Census as described in more detail in the document “The History and Growth of the United States Census” prepared in February 1900, by Carroll D. Wright (U.S. Commissioner of Labor) and William O. Hunt (U.S. Chief Statistician, Twelfth Census). That document focused on the history of the decennial census from 1790 through 1890. See full document (PDF). The constitutional requirement under which the Federal census is taken is contained in Article I, section 2, and provides that Representatives and direct taxes shall he apportioned among the several States which may be included “within the Union” according to their respective numbers, which shall be determined by adding to the whole number of free persons, including those bound to service for a term of years, and excluding Indians not taxed, three-fifths of all other persons. The actual enumeration was required to be made within three years after the first meeting of the Congress of the United States, and within every subsequent term of ten years, in such manner as they shall by law direct. For the purposes of the 1790 enumeration, which was to commence on the first Monday in August, 1790, and close within nine calendar months thereafter, marshals were empowered to appoint as many assistants within their respective districts as they deemed necessary, and to assign to each assistant a certain division, consisting of one or more counties, cities, towns, townships, hundreds, or parishes. Prior to 1900, few Indians are included in the decennial census. Indians are not identified in the 1790-1840 censuses. In 1860, Indians living in the general population are identified for the first time. Beginning with the 1900 census, Indians are enumerated on reservations as well as in the general population. 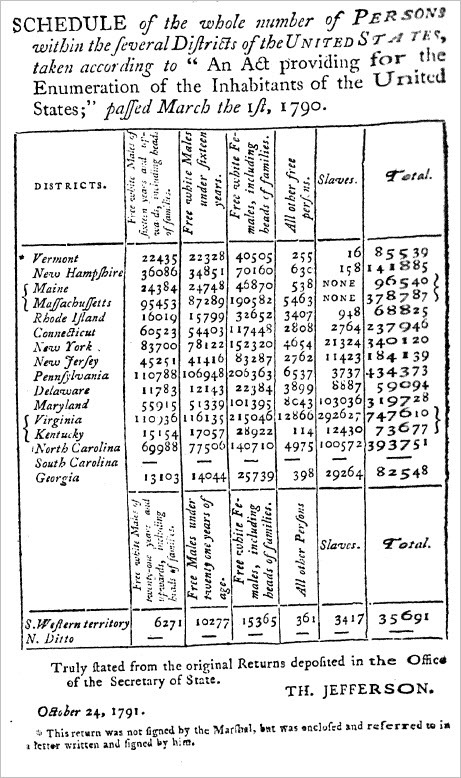 The 1790 census results are summarized by state/district in the following graphic. View the above table as a part of the more comprehensive report (zip file expanding to PDF). The leading features of the law of 1790, and the statement of the manner in which the “returns” were made, are described at length in the Census History document, not only because very nearly the same provisions of law governed the taking of the census until 1850, with minor modifications and extensions, but also because of its historical interest as being the first enumeration under the Constitution, and the earliest attempt anywhere to conduct a periodic census.